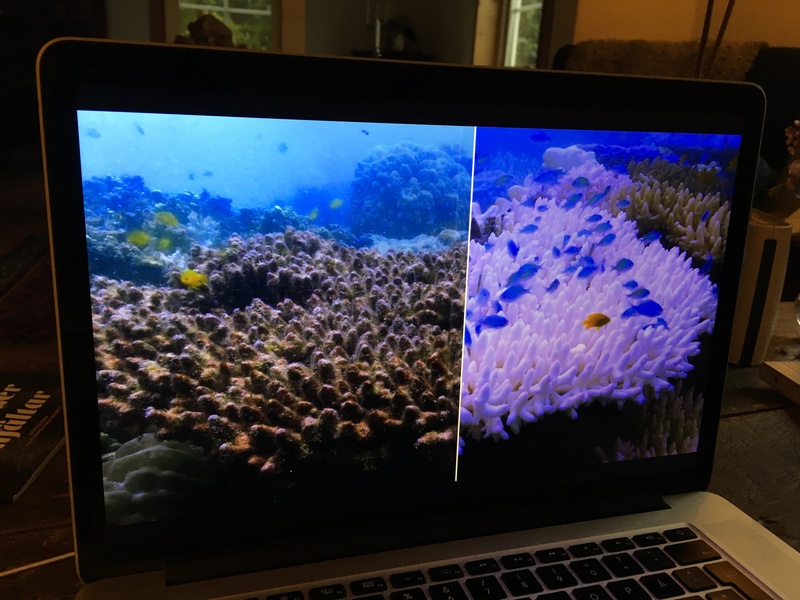 When the soon-to-be-eighteen year old tells me “Mom, tonight you’re gonna watch Chasing coral, and I will watch it again with you.” it’s hard to resist. So I didn’t. We got comfortable on the sofa, and pressed PLAY on Netflix. But a few minutes in, I gasped in chock, when they visited a coral reef in Florida, and was told how much remained of a specific species, compared to the amount of them around in 1975, when a survey had been done. The chocking answer: 0.01 %. As the end credits were rolling, singing along to Kristen Bells original song Tell me how long, I am left with the sensation of being dumbfounded. I just c a n n o t grasp how far the human species have drifted away from the understanding that we are not separate from Nature. We are a part of it. And when we harm such a vital part of our global eco system as the coral reefs are, we are harming ourselves. Severely. That, if nothing else, should be a wake-up call of massive proportions, should it not?